Are You Ready For Monday Foolish Mortals? Re-post to remind you that we will have Jason Surrell on our show tomorrow! Good evening Main Streeters, and welcome back to all you Foolish Mortals. 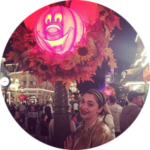 It’s only fitting that my weekly Thursday blog should happen to fall on the 31st of the month, and Oh my Ghost Host!… There are only nine more months to Halloween [even though Mickey’s Not So Scary Halloween Party tickets are already on sale], and four more sleeps until Monday, but who’s counting right? Now, if the title of this blog caught your attention, it’s surely because you love the Haunted Mansion. However, if you are confused about why I would be counting down to Monday, patience please, I will explain in due time. But first let this be your reminder to set an alarm for 7:00 PM on February 4, 2019. You absolutely DO NOT want to miss the next TMSM Live show. Make sure you grab all your favorite ghoul friends and gather round because *drum roll please* the one, and the only, Jason Surrell will be co-hosting TMSM Live with Michele. For super fans of the Haunted Mansion, you can start screaming now. Jason Surrell is a former Walt Disney World Imagineer who has published several books about imagineering. 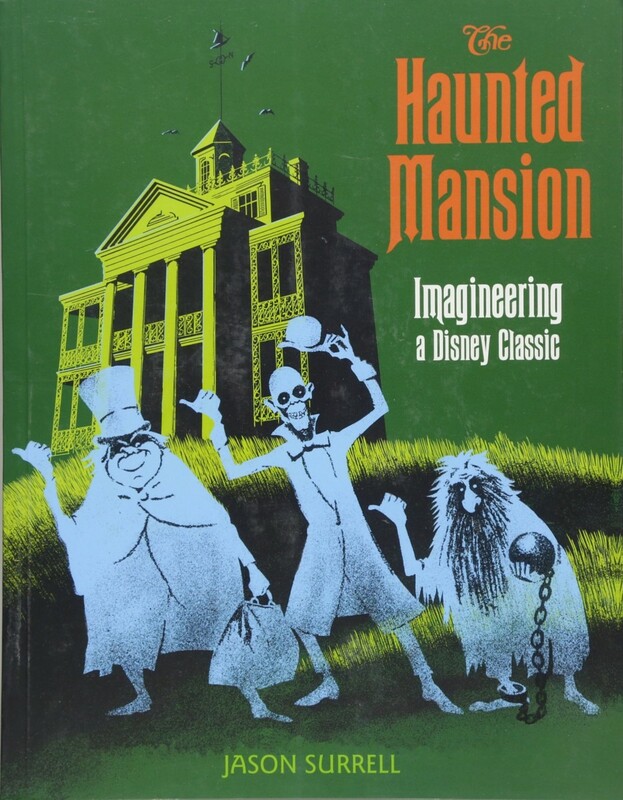 Most recently he published a book called “The Haunted Mansion: Imagineering a Classic”, it is an absolute must for any Haunted Mansion fan to own. It is full of the most incredible information about every iteration of the Haunted Mansion; and yes readers – there are multiple mansions around the world. I’ve read it for fun and referenced it for blogs so many times, there is an unfortunate tear along the crease of the spine, but I refuse to retire this gem of literature. 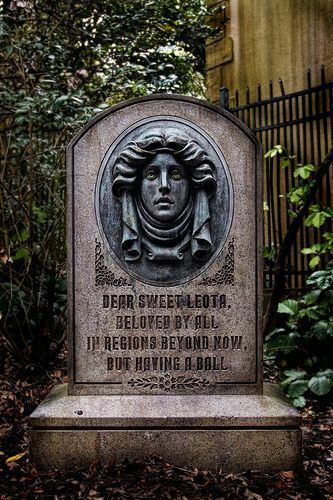 Among his impressive fifteen year career as an Imagineer, he is most notably credited with creating the homage piece to another Imagineer, Leota Toombs, where he gave her literal life using an animatronic tombstone placed right outside of the doors leading you into the Haunted Mansion. Leota Toombs is the Imagineer whose likeness represents Madame Leota in the mansion. Aside from lending his talents to all things creative, and appearing on Disney panels, according to my internet sleuthing sources, Mr. Surrell is currently working on the screenplay for a supernatural thriller and a trilogy of YA novels. Is anyone else hoping they are Haunted Mansion inspired? I mean, that would be to die for. So, if you love the Haunted Mansion, and want to hear from one of the great minds behind imagineering the attraction, you really don’t want to miss Monday’s Live Show. Look alive readers, collect your questions and make sure to set a reminder. I’m already dying to tune in and ask what very well could be 999 questions, and by the end of it I’m sure I’ll be one happy haunt. See what I did there?! Until next week! Hurry Baaaaacccckkkk. Erika Krystle has been a Disney kid for as long as I can remember, but my love of visiting Disney Parks started after just one ride in a Doom Buggy. I couldn’t run to guest relations fast enough to offer up my soul in return for an Annual Pass. Since then Disney has taken all my money, but has given me the most cherished memories; from watching my Nona’s face light up with happy tears as we strolled down Main Street on her first visit (she was 84 at the time), to my very own engagement on Halloween in front of the Haunted Mansion. 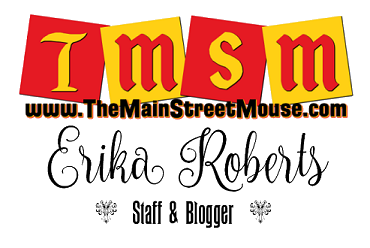 I’m excited to be on the TMSM team and where Disney Parks are concerned, you won’t catch me dead on It’s a Small World. If I ask to ride that, this is a clear indication I am in danger and you must send help. You will however catch me performing Random Acts of Disney (R.A.D’s), park hopping with my amazing group of impressively talented and kind friends (usually in some themed attire), hanging out by The Haunted Mansion, and ugly crying during Wishes… then begging for a Mickey Premium Bar to eat my feelings…don’t judge me. Otherwise, I work for the State of Florida and I am actively involved in my community. I believe in empowering others and spreading kindness to people from all walks of life. I also make custom designed Disney inspired ears, etched glass, gifts, and accessories. You can check out, like or follow my work on FB, which also links to my shop’s Instagram and Etsy page: www.facebook.com/imagineering.emporium. I look forward to getting to know everyone and sharing the magic of Disney!